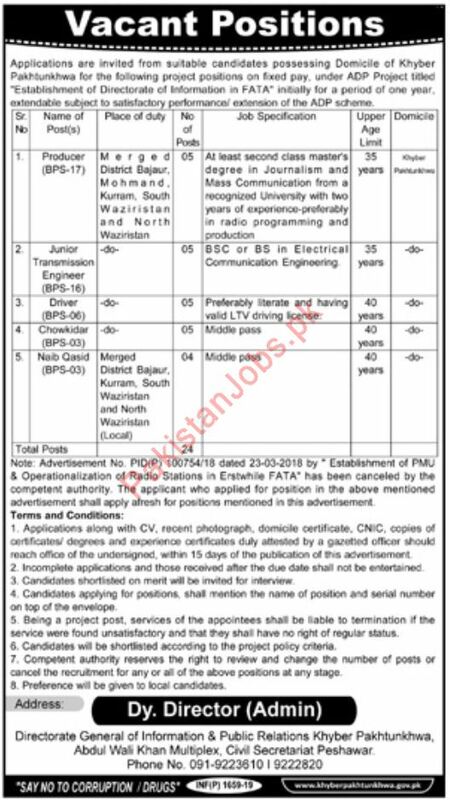 A Well-Known Government Organization Establishment of Directorate of Information in FATA ADP needs qualified and expert staff for their organization for the Job of Producer BPS-17, Junior Transmission Engineer BPS-16, Driver BPS-06, Security Guard BPS-03, Naib Qasid-BPS-03. Sir from where i should download application. Me junior transmission engineer ke post k lie apply kr raha hon jo fata k lie announce hoe he.Application form tu kahe bhe nahi he es post k lie.mene kaafi search kia he.